Dr. Blank is an internationally known expert on Russia and the former Soviet Union, who comes to AFPC from the US Army War College where he spent the last 24 years, 1989-2013 as a Professor of National Security Studies at the Strategic Studies Institute of the US Army War College in Carlisle Barracks, PA. Dr. Blank's expertise covers the entire Russian and post-Soviet region and has also written extensively on defense strategy, arms control, information warfare, energy issues, US foreign and defense policy, European, and Asian security. 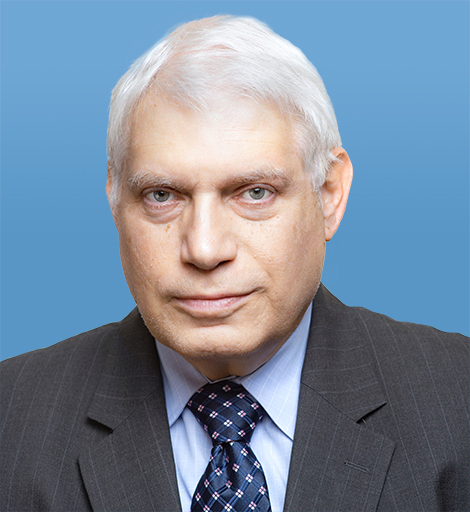 He is currently writing a book on Russian policy in East Asia and is the author of over 900 publications, books, monographs, scholarly and popular articles and has appeared frequently on television and radio and at professional conferences in the US, Europe, and Asia. Prior to joining the Army, Dr. Blank taught at the University of California, Riverside, University of Texas, San Antonio, and was a Professor of National Security Studies at the US Air War College's Center for Aerospace Doctrine, Research and Education. He holds a B.A. in Russian History from the University of Pennsylvania and an M.A. and Ph.D. in Russian History from the University of Chicago.